According to a recent study conducted by researchers from the University of Eastern Finland, sitting in a sauna can lower blood pressure, decrease your risk of heart disease and increase your lifespan. Spending fifteen or twenty minutes in a sauna is a great way to relax and let go of your stress, after a long day of work, or after a swim; though, there are so many other reasons to spend some time in a sauna. Researchers monitored over 2000 middle-aged men, over the course of twenty years. The men were placed into three different categories, based on how long they regularly spent in a sauna. By the end of the study, it was noted that the men who visited a sauna more than four times had a much lower death rate than those who went only once or twice a week. The results of the study were not surprising to researchers. 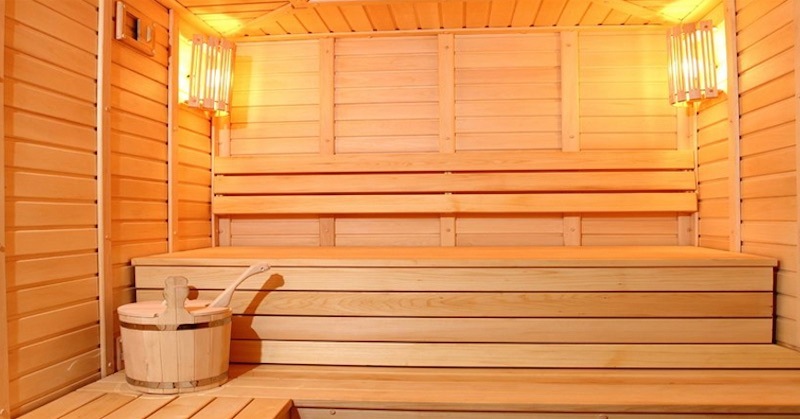 It has been known for years that spending time in a sauna can help with cardiovascular health. Earlier studies explored the benefits of sauna bathing for people that already have a higher risk of heart disease, including those with high cholesterol levels and blood pressure. How can spending time in the sauna improve your health? Sauna bathing allows you to sweat out your toxins. You sweat in order to cool down your body and to get rid of waste and toxins. There are two sweat glands—the apocrine glands and the eccrine glands. The eccrine glands are activated by stress, emotions, and heat. This is the sweat that cools you down and is odorless. Apocrine glands are mostly located under your armpits and are responsible for secreting sweat that contains organic compounds. The presence of bacteria in this sweat is what causes body odors. Sweating while in the sauna can cause your apocrine glands to get to work, expelling waste from your body. This makes sauna bathing a natural detox for your body. Sauna heat induces “artificial fever”. By increasing your body temperature, you are stimulating your immune system. This improves blood circulation and cleanses your body of impurities. The practice of using sauna baths to induce fever dates back hundreds of years. Even though a fever is often the result of an illness, it is part of the healing process. Fever can support the immune system’s attempt to gain advantage over infectious agents, such as viruses and bacteria, and it makes the body less favorable as a host for replicating viruses and bacteria, which are temperature sensitive. Sauna bathing can produce a similar effect, referred to as an “artificial fever”. Along with improving your cardiovascular health, spending twenty minutes in the sauna can burn over 500 calories. The heat will speed up your metabolism, allowing you to naturally burn calories, while sweating and sitting in a sauna. If you want to improve your health, limit your risk of heart disease, and increase your lifespan, then take a trip to the nearest sauna. Spending just fifteen minutes in a sauna bathing, three times a week, can have a profound impact on your health.